The memorial commemorates the Jewish cemetery in Skoki, 2018. The unveiling ceremony for the memorial of the Jewish cemetery in Skoki, 17/09/2018. Skoki is a town in Poland, Greater Poland Voivodeship, Wągrowiec County. It is located about 40 km north of Poznań. On this occasion, the Signum Foundation issued the publication “POMNIK UPAMIĘTNIAJĄCY CMENTARZ ŻYDOWSKI W SKOKACH / A JEWISH CEMETERY MEMORIAL IN SKOKI”. The unveiling ceremony for the memorial of the Jewish cemetery, 17/09/2018. Uroczystość odsłonięcia pomnika na cmentarzu żydowskim w Skokach, 17.09.2018. 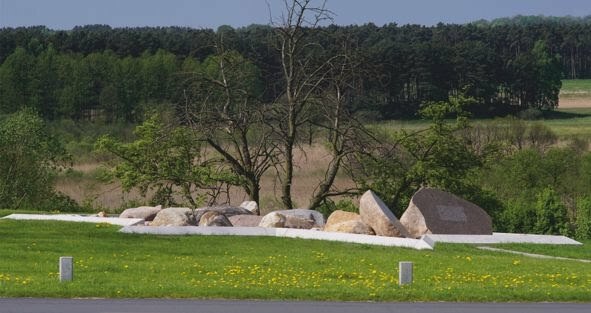 Z tej okazji Fundacja Signum wydała publikację „POMNIK UPAMIĘTNIAJĄCY CMENTARZ ŻYDOWSKI W SKOKACH / A JEWISH CEMETERY MEMORIAL IN SKOKI”. 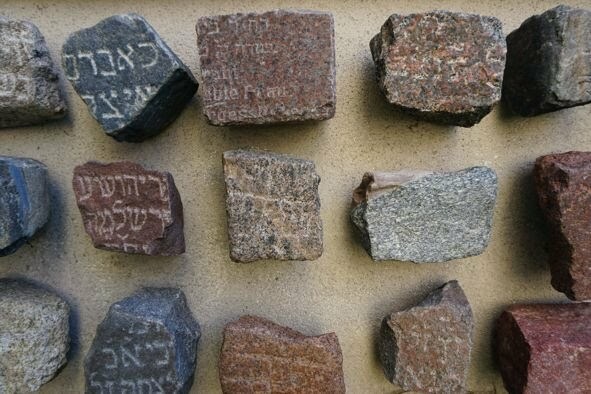 Pavement of Memory, an installation at the Jewish Cemetery in Poznań, 2018. All texts and photographs on the Janusz Marciniak site are subject to copyright and may not be published, rewritten or redistributed without permission / Wszystkie teksty i fotografie na stronie Janusza Marciniaka są objęte prawem autorskim i nie mogą być publikowane, kopiowane i rozpowszechniane bez zgody autora.